Comments: The America #8 cover below is both a cover homage and a reprint in the form of a lenticular cover. 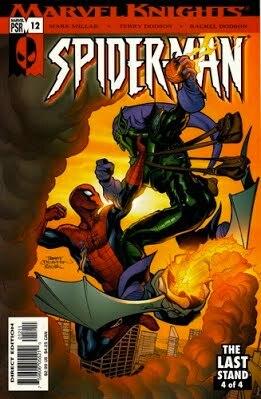 Comments: The featured story is a reprint Amazing Spider-Man #17, and the Green Goblin's pose on the cover looks remarkably similar to Amazing Spider-Man #39. Still counts as a unique Green Goblin cover though! Comments: The featured story is a reprint of Amazing Spider-Man #39-40. The cover appears to be from John Romita. Comments: First cover with Norman and the Green Goblin! 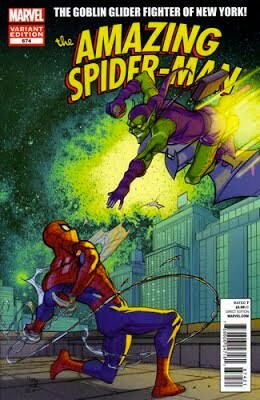 Comments: Not definitively a 'Norman Osborn as Green Goblin' cover, but since we're not certain it gets included. Comments: This issue features a synopsis of Amazing Spider-Man #96-98. Cover Artist: Larry Lieber and John Romita Sr. Comments: The featured story is a reprint of Amazing Spider-Man #96-98. Comments: The ghost of the Green Goblin still counts as an appearance on a cover! Comments: The featured story is a reprint of Amazing Spider-Man #100. Comments: She-Hulk visits the Green Goblin in the spirit world. Comments: Its debatable, because of the nature of the story, as to whether this is Norman or Harry behind the Goblin mask. Since its not confirmed, we'll include it to be safe. Comments: Although he's not the main Goblin featured on the cover, the original Green Goblin is one of a trio of Goblins' past that haunt the Phil Urich Goblin. Comments: Where's Norman Osborn you say? Well, we all know he's the mastermind behind the tangled web of lies that was the Clone Saga...so who's hand do you think that is? 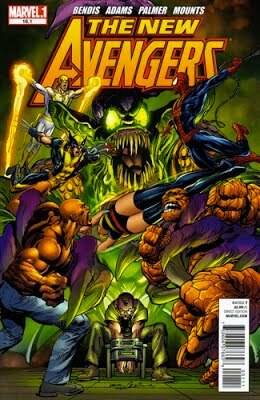 Comments: Included is the original cover to issue #3 as well as three alternative/potential covers that were featured as bonus art in the Revenge of the Green Goblin trade paperback. The first two are by Frenz, the third is from an interior page by John Romita Jr (really a combo a pages from Amazing Spider-Man (Vol. 2) #25). Comments: This is a magazine-sized German reprint of the 3-part Revenge of the Green Goblin story. Die Rache Des Grunen Kobold is the German translated title. And if you're curious (or if you don't believe me), I've included a panel from the interior of the book to the right scanned below. Comments: The Grey Goblin had not debuted at this point in the story, so the Goblin in the background of this cover must be the Green Goblin. 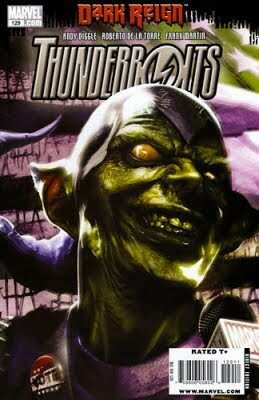 Comments: This cover with Norman Osborn as the Green Goblin has become the iconic image of Osborn during his Dark Reign. Comments: Could there be an image more fitting for Norman and the Goblin? Comments: Is that Norman Osborn and Spider-Man fighting as teammates? Comments: This 2nd print variant utilizes one of the interior panels from the story as a cover. Comments: This was more of an encyclopedia than a story, nevertheless its included here because there is dialogue from Victoria Hand to Norman Osborn. Comments: Paintings count for this list! Comments: Also included below is a scan of the original artwork. Thanks to James Cawley (the owner) for providing the image! Comments: By all indication this story takes place in the 616 Universe, which makes it eligible for this list. 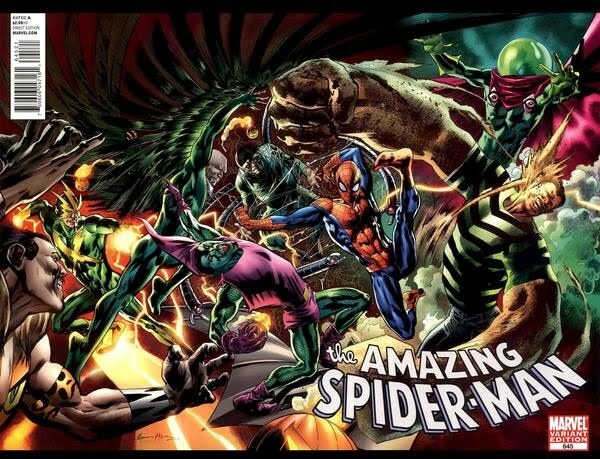 Even though the Green Goblin does not appear in the story, there's no reason to think that the Goblin depicted on the cover is not Norman Osborn. So it makes the list!